The SEMA 2011 Pickup Truck Market Research Report authored by Hedges & Company is available as a free download for SEMA members. Non-members may purchase a copy for $99.95 at SEMA.org/2011pickupreport. 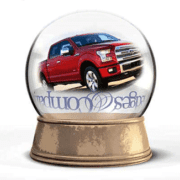 This light truck report dives deeper into the industry th an SEMA’s previous market research report from 2008. The U.S. light-truck market is incredibly broad. Used for general transportation, commercial applications and recreation, light trucks comprise the single largest category for businesses in the automotive specialty equipment industry. Trucks and truck accessories are so popular that they have laid claim to their own exhibit hall at the annual SEMA Show in Las Vegas. While the light truck market includes vans, crossovers, SUVs and some specially constructed vehicles, pickups make up the lion’s share of the market for SEMA members. The nation’s first and second top-selling vehicles are, and have been for years, the Ford F-Series and Chevrolet Silverado. The 2008 light truck market research report covered only late-model offerings, focusing on 2007 and 2008 midsize and fullsize pickups. The new report covers a decade’s worth of vehicles, ranging from the 2001 to the 2011 model years. It includes information about 15 individual models as well as sales and popularity data on more than three dozen types of accessories. 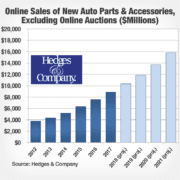 The market research was conducted by Hedges & Company, the well-known specialty-equipment marketing firm that also produces the monthly SEMA Financial Benchmarking reports and specializes in market research, database marketing and managed e-mail marketing. Hedges & Company surveyed more than 2,000 midsize and fullsize truck owners from across the United States for the study. 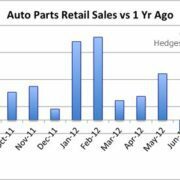 A Sign Auto Parts Retail Sales Are Slowing? I am writing a business plan as part of an assignment for my MBA course. 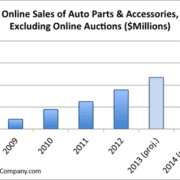 I am particularly interested in any market data available for Pick up truck racks. Does Sema provide a report that could tell me how many truck racks were sold in a given year? Hi Max, the 2011 Pickup Truck Report shows 2% of fullsize pickup truck owners and 1.9% of midsize pickup truck owners purchased “Racks For Skis/Bikes.” Best of luck with your project. 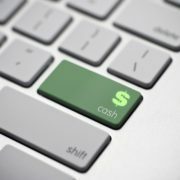 Hello, I am helping my husband with a potential aftermarket product and he wants to know how much money has been spent specifically on pickup truck performance parts and accessories. Do you have any figures for last year or even the year(s) before. I am having the hardest time finding out this one fact. Thank so much. Hi Chris and thanks for the phone call, too…I hope we were able to help. Best of luck on your project. Hello! I am currently writing a business plan for a course I am taking through my local chamber of commerce. The plan will prove useful for obtaining funding to start my business in aftermarket truck accessories. I was wondering if you could provide any market data on aftermarket truck grilles? Such as how many or what percentages were sold over the last year or 2? Thank you in advance for your help. Hi Alissia, thanks for stopping by. We don’t have any additional data that we could release, other than what is already published here. Best of luck.